Leefield Station is a fully operational vineyard farm located in the Waihopai Valley of Marlborough. It is one of the oldest Stations in Marlborough, dating back to the 1840's when it was settled by Constantine Dillon. In 2013 Brent Marris of Marisco Vineyards purchased the 2,200 ha property with sights set for not only it's pastoral farming potential but also to convert a large portion of the land to vineyard. Something Brent does superbly well! This has produced a wine with ripe tropical flavours including peach, guava, melon and citrus. On the palette this wine fleshy and very mellow, It has a beautiful purity and undeniable energy, the finish long and refreshing. 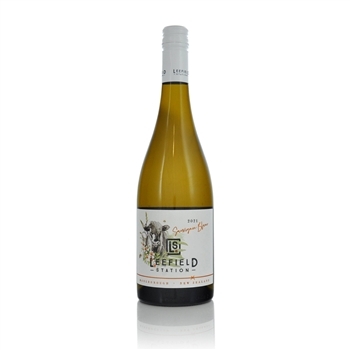 Pretty much the benchmark Marlborough style with slightly more friendly acidity, this Leefield Station is a memorable debut for what we suspect will become an iconic wine.